RC racing has come a long way in the past ten years. The design and capability, along with several individual internal components of our cars and trucks have vastly progressed in the short time the industry has been in swing. 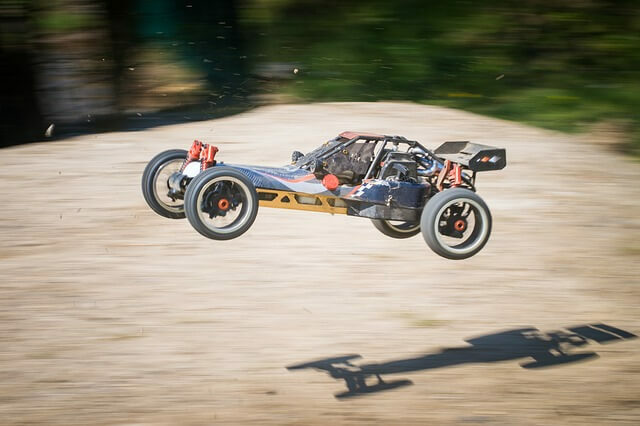 The evolution of RC racing cars is made clear from simply considering the changing aesthetic of the vehicles. Body styles, vehicle suspension systems, and RC car drivetrains have made monumental progress in a short amount of time. Take a moment to read through this short overview of a few of the most pivotal technological advancements recently made in RC racecar design. The introduction of brushless motors to the RC track gave us more power, higher efficiency, explicit tuning options, and almost no maintenance. The former, brushed, model of the motor (though still a reliable design) was “brushed” aside when brushless motors were released. The most coveted benefit the industry has seen with the introduction of the brushless motor is the easier entrance of beginner level racers. Newbies no longer have to worry about changing brushes and other intricate upkeep. RC car tires used to have no need for foam inserts due to their rough exterior. There was not much give in the design, so there was no need for internal support. The old, hard-tire, design was a bit easier to mount, but the new soft-compound gumballs are exponentially better for performance. As early as five years ago, RC tire manufacturers only offered one specific rubber compound tire for all different vehicles. Now there are producers for tires that are specific to each type of racing. Various tread patterns and foam inserts for tuning have revolutionized the world of RC tire production. Before the gift of 2.4 GHz radio control systems, communication in the realm of RC racing was spotty, at best. Racers had to check the most recent heat sheet to make certain that they were on the right frequency. There was plenty of room for error, and entrants of competition found every possible foul-up in the system. Many an argument was sparked in the pit due to retro communication systems. In the beginning, big-bore shocks were more of a novelty aesthetic item than a piece of true performance machinery. They did not really have a purpose much past looking cool. Time, however, has been kind to the big-bore shock design. The new designs feature better seals and a higher oil volume. The intricacies of the modern design of RC racecar shocks are pivotal to a higher and more intentional standard of performance.